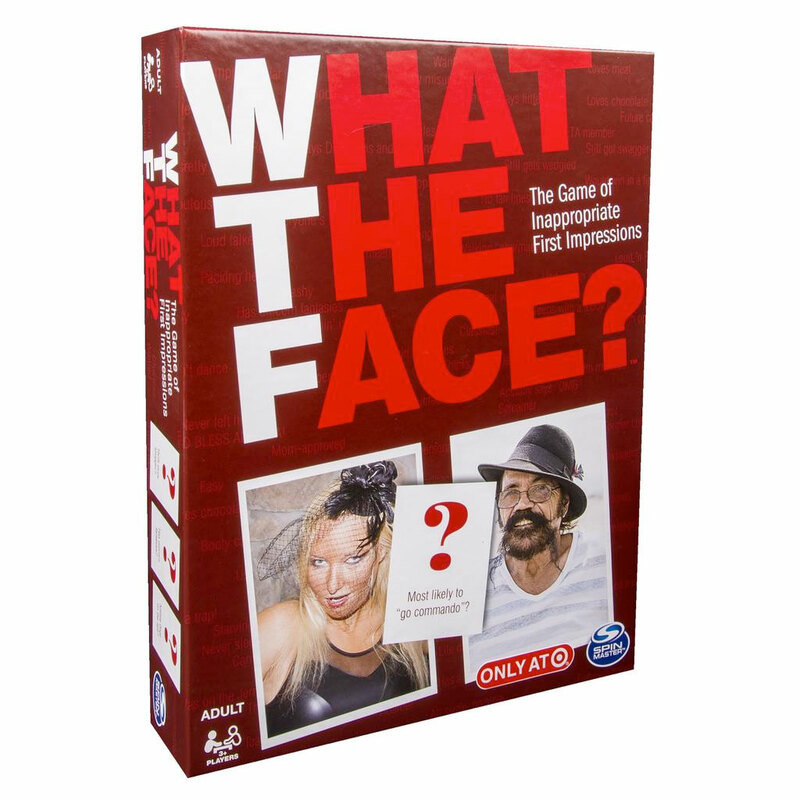 What the Face is the adult party game of inappropriate first impressions! Here it's okay to judge people on their looks alone! What the Face? 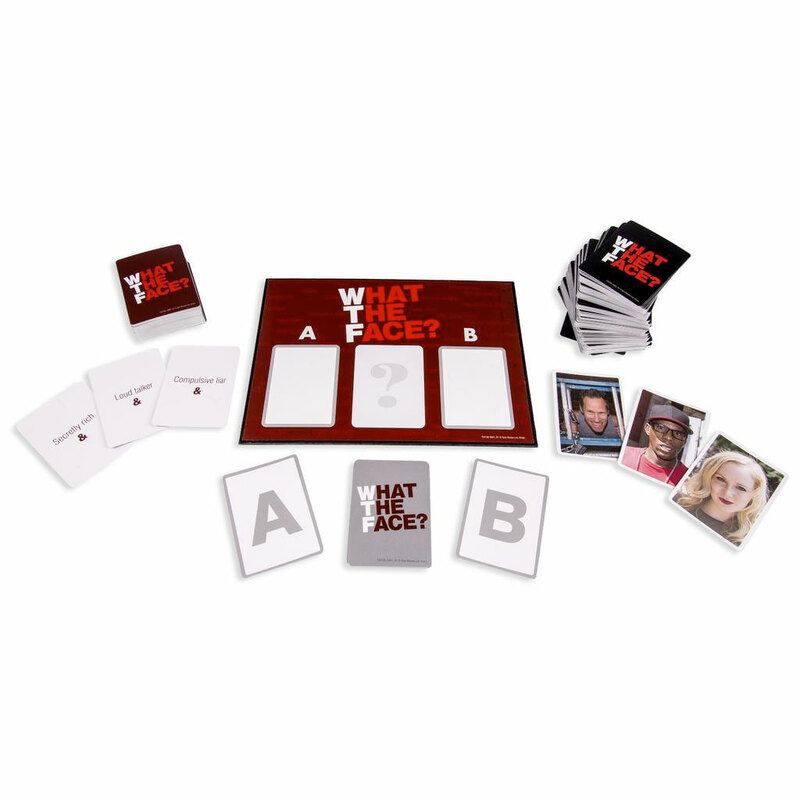 is the adult party game of inappropriate first impressions. Here it’s okay to judge people on their looks alone! In What The Face?, you pick a photo from the 5 Face Cards that you think best matches the personality description for that round. You’ll go head-to-head against another player and if the majority of players agree with your match, you score. Earn the most matches, and you win the game! What the Face? proves that looks aren’t everything...unless they are! Which of the faces looks like they may have unicorn fantasies? Who’d kiss a dog on the lips? Who has probably named their body parts? In What the Face, you judge on first impressions! Everyone votes for one of two WTF? Photo Cards chosen to match the description. If your matchup gets the most votes, you win the round! With 260 Face Cards and 88 Label Cards, the combinations are endless! 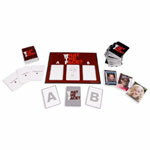 You can even go to www.wtfGetinTheGame.com to print custom photo cards and more.